CP III Alumni - Charged Particles: Jazz with a Spark! 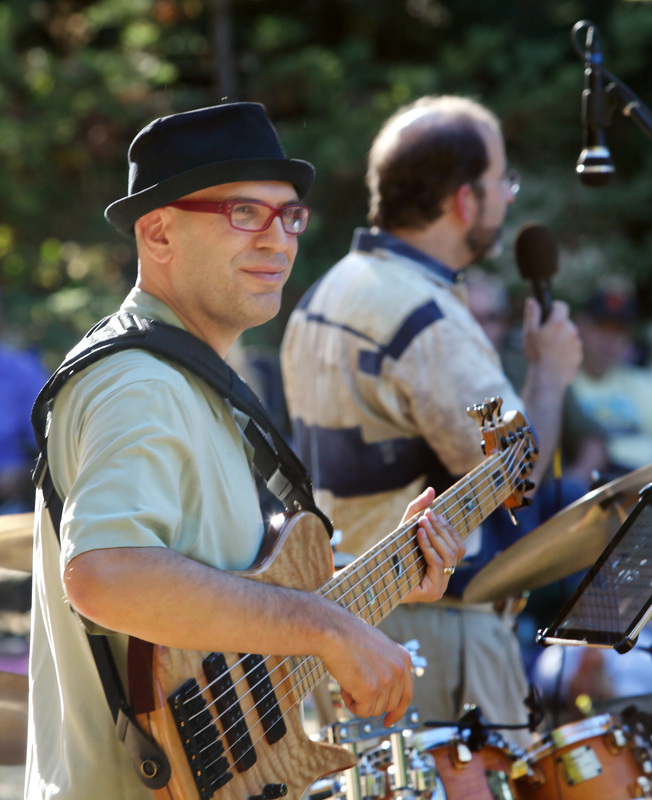 Charged Particles III Alumni include bassist Jason Muscat and pianist Frank Martin. 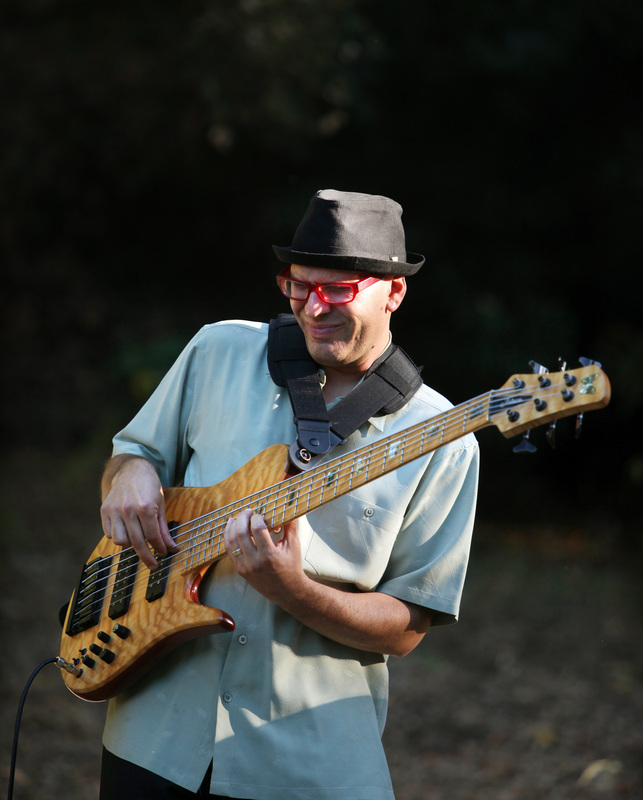 Jason Muscat was the original bassist in the third generation of Charged Particles when the band relocated from Ohio to California. He was born in the Bay Area and has lived in San Francisco since he was 11 years old. Jason started playing bass when he was 14. He saved his pennies from a part-time job to buy his first bass from a JC Penny catalog. It didn't take long for him to develop a passion for the bass and an awareness that he needed a better axe!!! Jason developed his skills in band class, where he won the school music award two years in a row. He graduated from Sacred Heart Cathedral College Preparatory and attended SF State University. Excited to explore a career in music, Jason studied for 2 years with Rick Giovinatso, student of Jeff Berlin. He then studied for 6 months with Michael Wilcox. Jason has been playing professionally since 1990. During those 16 years, he has performed and recorded with Tim Herb Alexander (Primus), Alex Skolnick (Michael Manring, Testament), Chad Smith (Red Hot Chili Peppers), Atma Anur (Journey), Will Bernard (Motherbug, T.J. Kirk), and Roy Thomas Baker (producer for Queen & The Cars). Jason spends most his time teaching bass in the city and co-leading a jazz trio, with Brandon Robinson on guitar and Brandon Etzler on drums. He also performs with local greats, Diz Dismore, Jeff Massanari, Wally Schanlle, Ray Sayre, Jimmy Sage, Cory Combs, Drew Waters, Lorn Leber, Russ Gold, Julie Homi, Jeff Marrs, Wil Blades, and Adam Shulman. He is also a member of one of the most in demand Bay Area R&B groups, Pure Ecstasy, and can be found playing for the popular musical comedy Menopause the Musical. Jason is also the bassist for City Church in San Francisco, under the direction of Karl Digerness. Pure Ecstasy. Pure Ecstasy specializes in private events such as weddings, corporate parties, bar mitzvahs and birthdays. City Church. Playing for Sunday services under the direction of Karl Digerness. 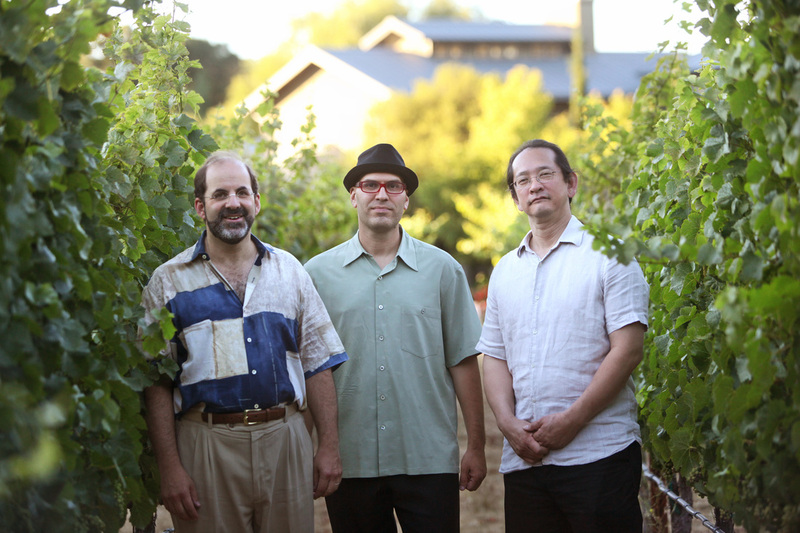 Band members include Jeff Marrs, Adam Shulman, and Wil Blades. Steppin’. One of the greasiest funk and boogaloo band in the Bay Area lead by Oscar Meyers. Band members include Wil Blades, Steve Burke, Joe Cohen and Brandon Etzler. The Joe Cohen Show. Long time Jazz Maffia member Joe Cohen brings a unique blend of jazz and funk with this new band. Band members include Brandon Etzler and Jeremy Leber. Heavy Rubber. Rock fusion trio featuring Ray Sayre and Jimmy Sage. Performs classic fusion covers and arrangements of jazz songs for a power trio. Rob Hart Trio. 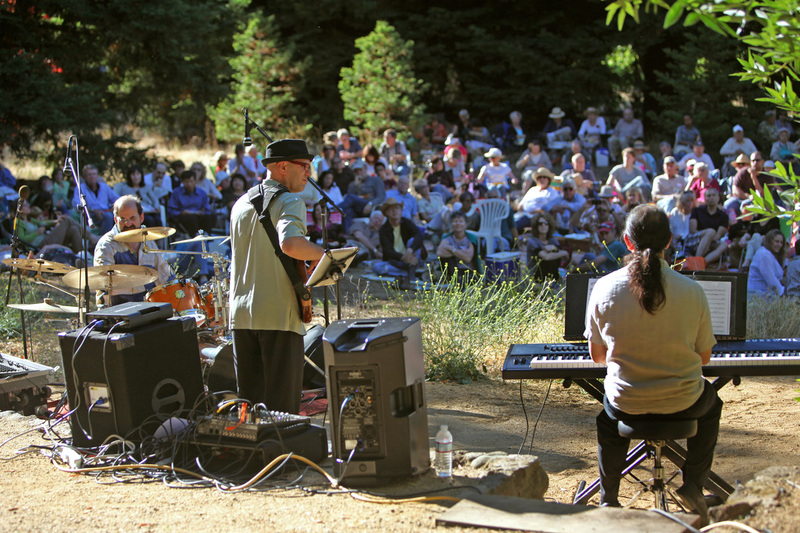 Rob’s trio plays a wide rang of music from straight ahead jazz to rock covers arranged for a jazz ensemble. Wally Schnalle 4tet. All original jazz-fusion project that has produced 7 records. Band members include Wally Schnalle, Jeff Massanari, and Dan Zinn. Nueva School. Running a part time music program for middle school students. The class focuses on rock and jazz ensemble performance. Community Music Center of San Francisco. Private bass lessons. Clock Tower Music. Private bass lessons. Redwood High School in Larkspur. Assistant to music director John Mattern conducting group workshops for all bass players, lead a jazz ensemble and coach various student-led bands. During his college years at Hayward State University he performed with the school big band as well as small ensembles. In his senior year he performed with the “Hayward State Nonet”, a nine piece jazz group that played original compositions, a number of which were his compositions. At the Reno Jazz Festival, where they received 1st honors, they also performed a piece by the “Four Freshman” where he along with 3 others in the band came out front and sang the original vocal “Four Freshman” arrangement of “Spring Isn’t Spring Without You”. While still in college a friend told him he had to come and hear this great piano player performing at a club in Palo Alto, CA called “In Your Ear.” That’s where he connected with his next jazz teacher, Art Lande. Much was learned from this great teacher/player including avant-garde playing, improvising through complex chord changes, and modal playing. Also time was spent exploring composing with pictures as well as numbers. During that time as well as post Cal-State Hayward, he played in countless pop/rock bands performing in bay area clubs 5+ nights a week. At one point joining a new band called “Visions” that played originals, many in odd time signatures. Composing and arranging for these and other bands became a huge part of his passion. In the late 70’s an opportunity appeared via a recommendation by guitarist Steve Erquiaga to join the legendary alto saxophonist John Handy’s band. John was looking for a player who could play jazz, some odd time music, as well as groove music, and someone who could play keyboards and synthesizers. A perfect fit at the time given he was deep into the Minimoog, fender rhodes, and clavinet. Very shortly after that first musical meeting with John Handy, the band was in Los Angeles recording an LP for Warner Brothers Records called “Handy Dandy Man”, followed by a US Tour. That tour had them opening for artists like George Benson, Al Jarreau, and The Crusaders, to name a few. Next came a call from fusion drummer Narada Michael Walden to join his band. He had just moved from the east coast and wanted to put a band together. The two of them got together and played for an afternoon in San Francisco and made an instant connection. Narada had recently left the Mahavishnu Orchestra, as well as Weather Report, having just recorded “Black Market”, and wanted to continue playing fusion as well as pop/rock/R&B where he could sing, as well as produce artists. That led to many records with him, as well as pop records with artists like “Sister Sledge”, Angela Bofill, George Benson, Dianna Ross, Whitney Houston, Lou Rawls, Steve Winwood, and many others. USA band tours followed, opening as well as headlining for artists such as Chaka Khan, the Brothers Johnson, Patti LaBelle, Grover Washington Jr., Dianna Ross, Peabo Bryson, Rick James, and many others. Shortly after recording with Angela Bofill came an offer from her to arrange a number of her songs for big band to open shows for Bill Cosby in Atlantic City as well as Las Vegas. Not long after, the two of them went to the Philippines and toured with great local musicians for a month throughout Manila and Cebu. Next, an offer came to move to New York and travel as her musical director. It was a move of only 6 months, the duration of the first tour, but the musical relationship between the two continues to this day, although Angela currently is recovering from her second paralyzing stroke. Also during the mid 80’s, 2 years were spent playing on a TV Variety Show called “THE AFTERNOON SHOW.” It was much like the original Letterman Show that featured a quartet that backed up whoever happened to be a guest on the show. Much experience was gained backing up artists like Mel Torme, the Nicholas Brothers, Cab Calloway, Albert King, B.B.King, Herbie Hancock, Jeffery Osborne, and many others. The connection with Narada Michael Walden, which continues to this day, led to many shows such as the “RHYTHM & BLUES PIONEER AWARDS” and the “SPORTS IMAGE AWARDS” where the band backed up artists like “The Flamingos, The Cadillacs, Bo Diddley, Johnny “Guitar” Watson, Johnny Taylor, Sam Moore, Betty Everett, The Chantels, and Philip Bailey, where Frank acted as musical director for Narada Michael Walden. Since 1997, he and Narada have been part of Sting’s “Rainforest Band” performing at Carnegie Hall in benefits for the Rainforest Foundation. There he has backed up countless stars, including James Taylor, Billy Joel, Elton John, Madonna, Joe Cocker, Ricky Martin, Chris Botti, Zuchero, Bobby McFerrin, Tom Jones, Stevie Wonder, Brian Wilson, Gladys Knight, The Impressions, Bruce Springsteen, and Percy Sledge to name a few. For over 20 years, he has been part of the Brazilian band the “Netoband” led by guitarist Jose Neto from Sao Paulo, Brazil. For 16 years the band was invited to play at London’s legendary “Ronnie Scott’s Jazz Club”. Through the years, he has performed with John McLaughlin, the Joe Farrell Quartet, the Richard Bona Band, Flora Purim and Airto Moriera, Robben Ford, and many others. As a clinician/teacher, he has been on staff at the University of California at Berkeley, as well as the Jazzschool in Berkeley, California, teaching classes in arranging, composition, rhythm, piano,and improv, as well as leading combos. 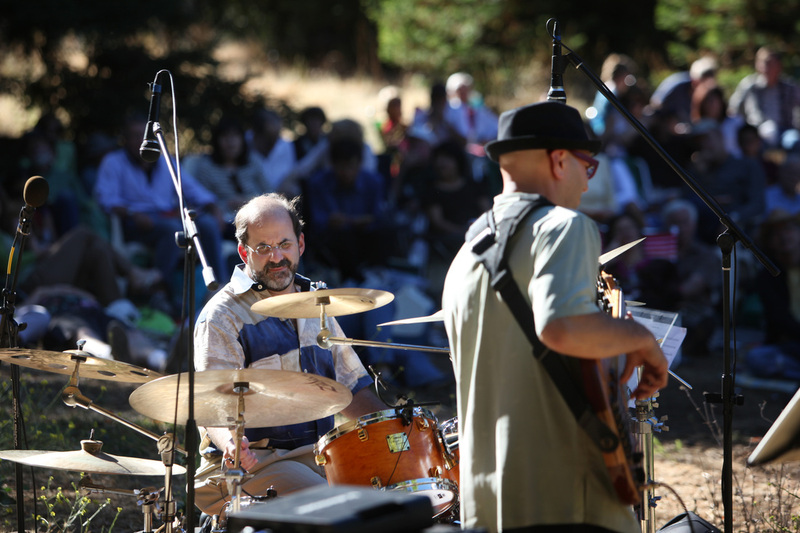 He has also taught at summer music camps for kids as well as adults, such as the Lafayette Summer Music Workshops, Jazz Camp West, and San Jose’s “Jazz Goes to College”.